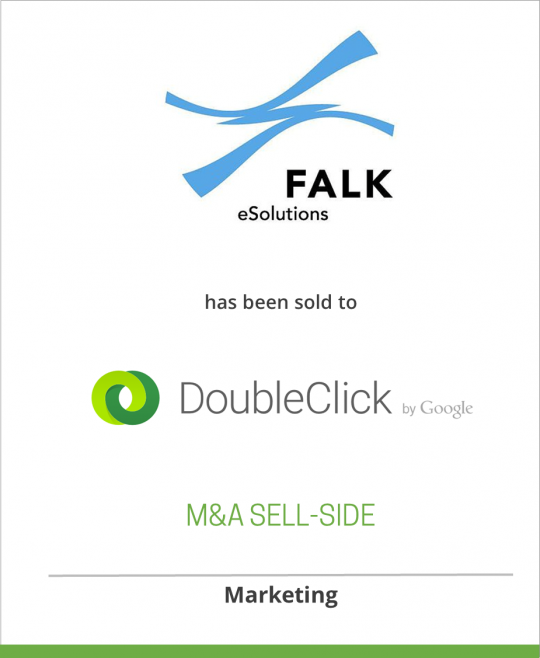 Falk eSolutions AG has been sold to DoubleClick Inc. Founded in 1998, Falk eSolutions is a leading provider of online ad delivery and management solutions for publishers and advertisers. Falk’s core products are Falk AdSolution™, AdSolution|rx™ optimization and AdSolution|fx™ rich media. The AdSolution™ interactive ad management suite is engineered to increase delivery performance, streamline administrative workflow and dramatically reduce operating costs for customers. AdSolution is used by hundreds of publishers, agencies and marketers worldwide. Falk AdSolution is now the third-largest ad management solution worldwide, serving over 18 billion ad impressions per month. With more than 70 employees, Falk has its headquarters in Germany. From 2002 to 2005, Falk opened several international offices to meet worldwide demand for its products, including London, Paris, St. Petersburg, Los Angeles and Steinhausen, Switzerland. Falk North America was established in 2003.